Excellence is a Journey and it requires continuous improvement. Our “Integrity Moments” is an example. Many years ago a radio executive encouraged me to develop a radio vignette on integrity in the workplace. “Integrity Moments” began as a bland, straight text email. Today, we have 250 stations carrying our daily radio vignette, 15,000 daily email subscribers, and over 2 million people receiving a monthly version. The quality has vastly improved. 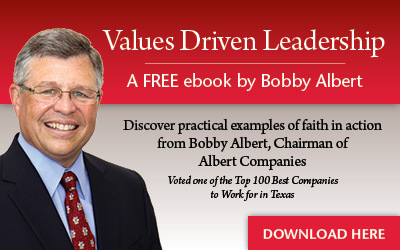 My desire is leaders modeling God’s principles in their workplace. With God’s power directing us to continuously improve, we have seen God change thousands of lives.